I received this beautiful Gift Box for Christmas (well done Dad), and I have been waiting until I used up all of my Christmas products until I opened it, I still haven't - but I couldn't wait any longer! 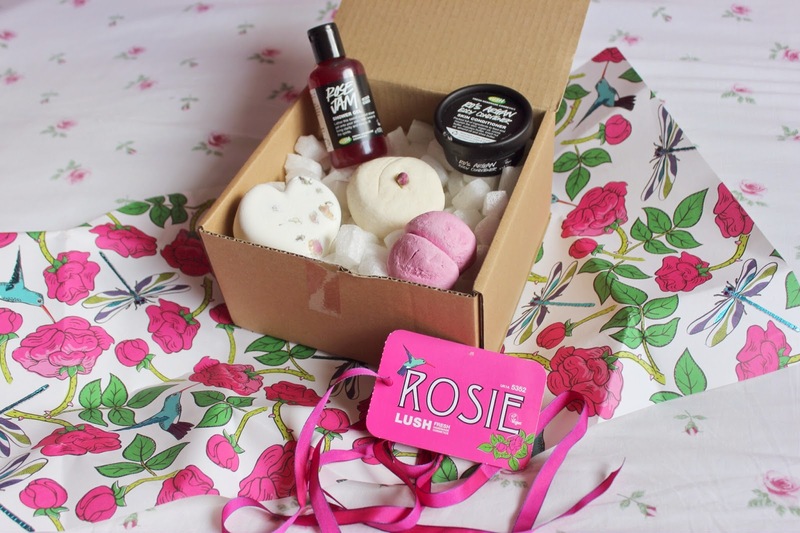 It contains 5 of Lush's loveliest rose products, which if my blog title doesn't suggest, are my favourite flowers. 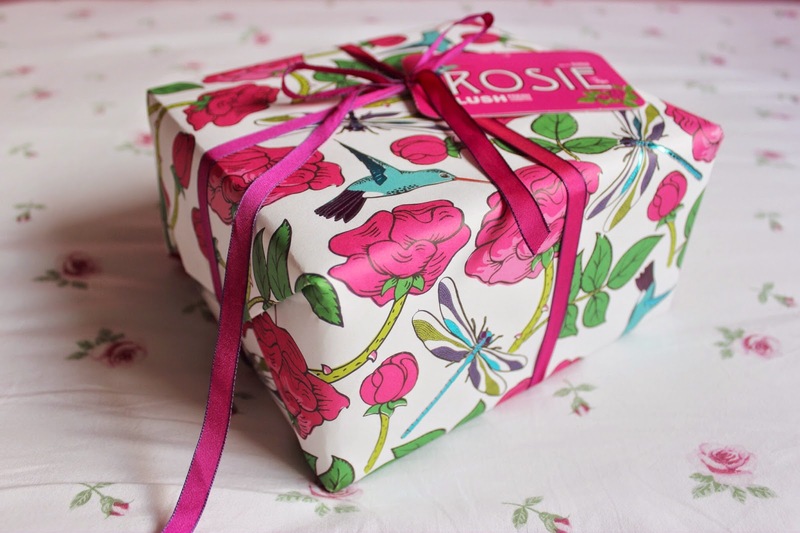 Lush gift boxes are always so beautifully packaged, I love this paper and I've been trying to think of something creative to do with it! 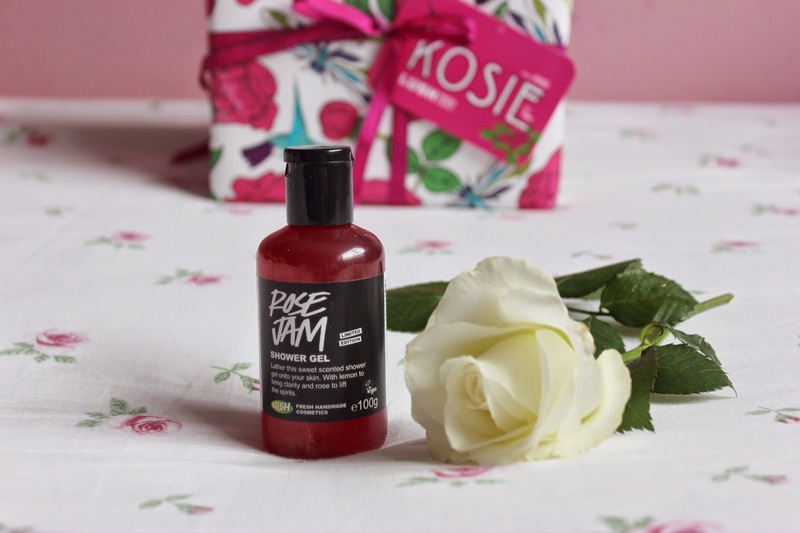 A decadent, rose shower gel made with vanilla pod infusion, goji berry juice and nourishing argan oil, Rose Jam leaves your skin soft, hydrated and sweetly-scented. 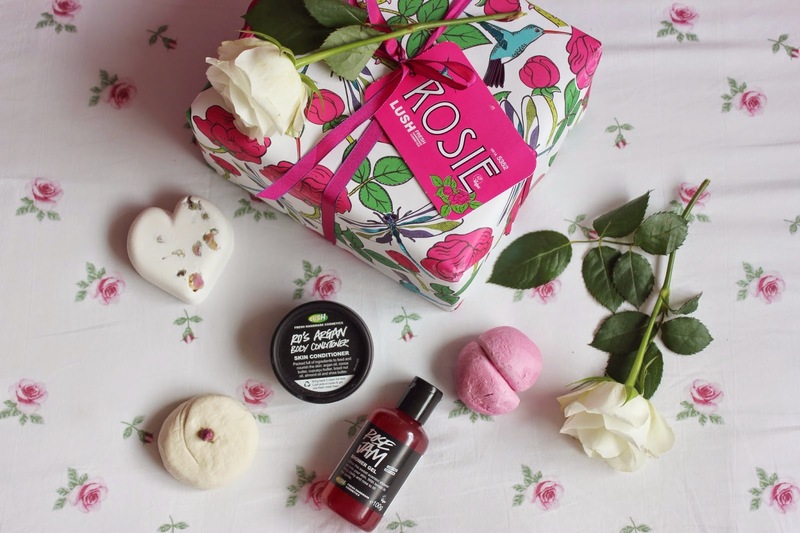 Pep up your spirits in a bath filled with Rose Jam: lemon, rose and geranium oil will help perk you up, while coconut oil and shea butter leave your feeling gorgeous. 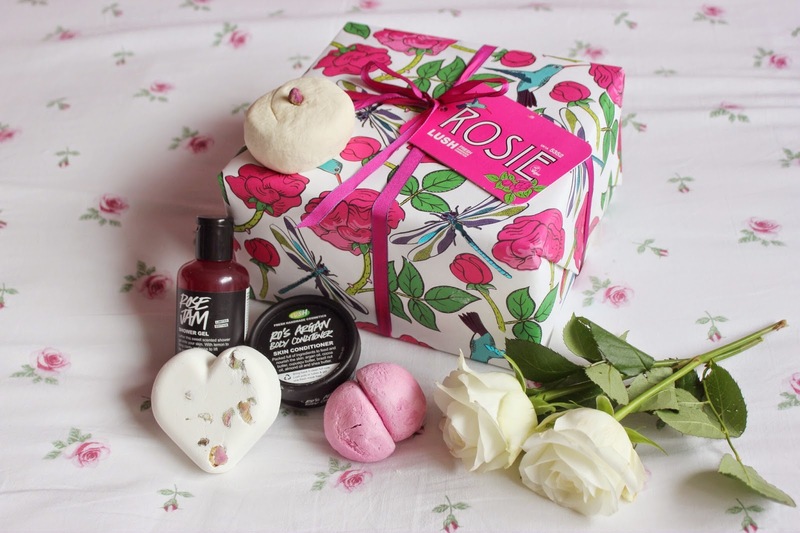 Rose oil and rose absolute give a double dose of rosiness, helping clear the mind and boost your mood. Tisty Tosty is based on a medieval love potion - he loves me, he loves me not. Studded with seven real rosebuds, it is scented with a captivating combination of loral orris root powered, rose, and lemon. As this dissolves in the bath, you may fall in love with it as the scent of geranium, jasmine and rose create a spellbinding fragrance. 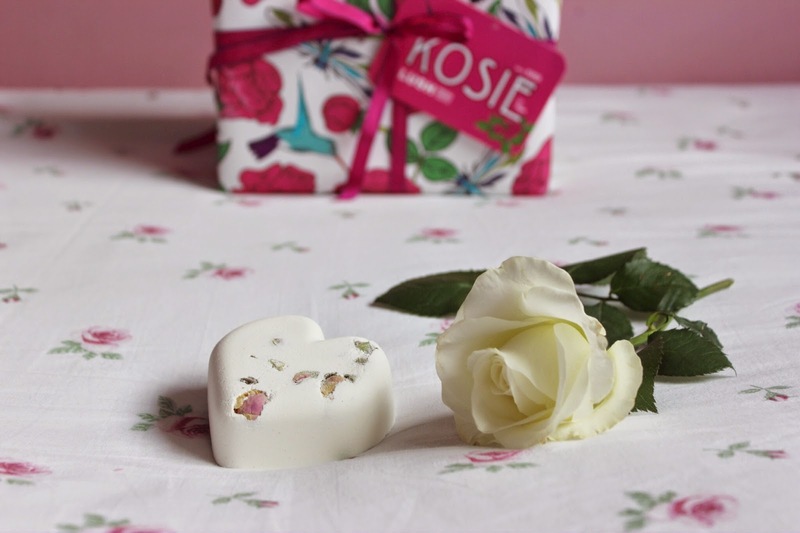 Rose oil also gets to work soothing broken hearts - it's used by aromatherapists to lift the spirits. 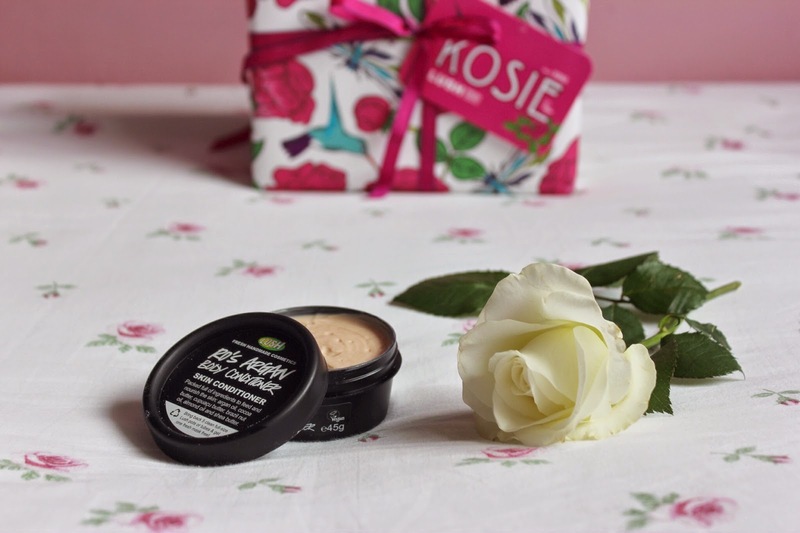 This is chock-a-block with delicious butters and oils to leave your skin looking plumped up, gorgeous and smelling of roses. Take this into the shower or bath, massage over wet skin and rinse off just as you would a hair conditioner. With deeply nourishing argan oil, which is thought to have anti-ageing properties as it's rich in vitamin E and essential fatty acids, and added brazil nut and almond oils as well ad cocoa, she and cupuacu butters to leave your skin supple and radiant. When you need life to bring you flowers, this heady rose scent combined with stimulating lemon is the perfect thing to pick you up. This is a romantic, relaxing bath to take you away from it all. 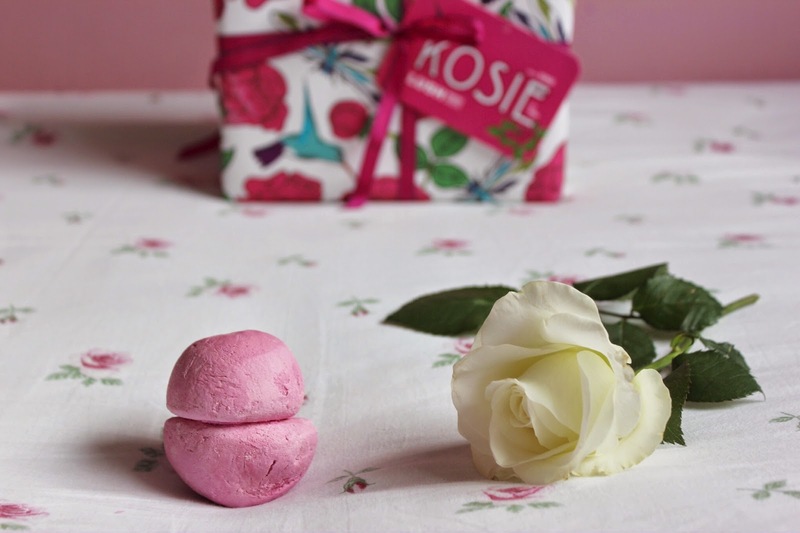 With rose absolute, which produces a feeling of well-being, lemon oil and sweet orange oil also give you reasons to feel cheerful. 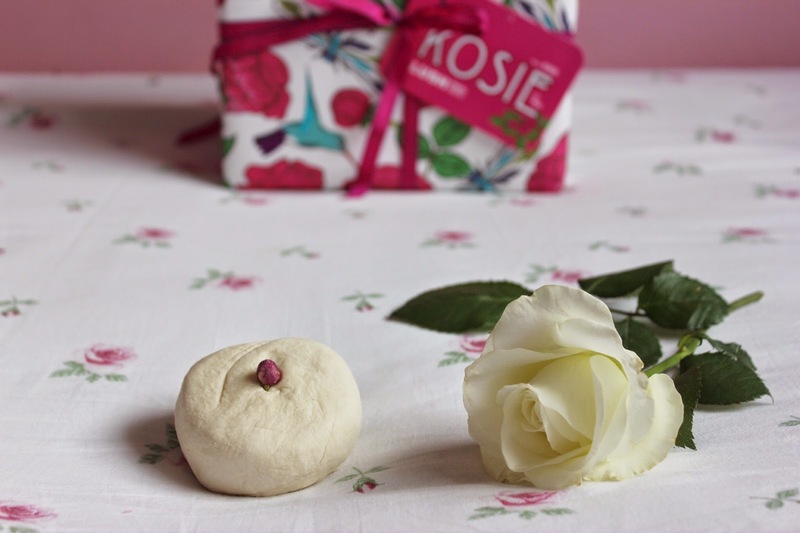 'Rosie' is £21.25 and available online and I *think* still in store.